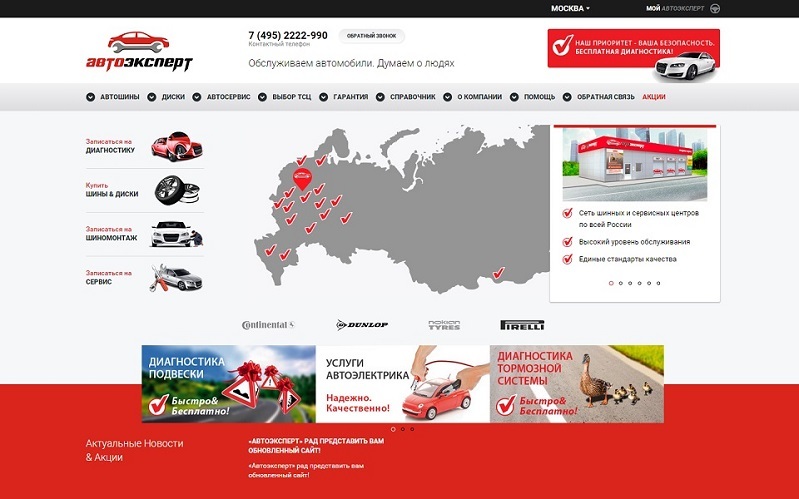 Autoexpert is a store and repair shop chain selling the products and services in many Russian regions. 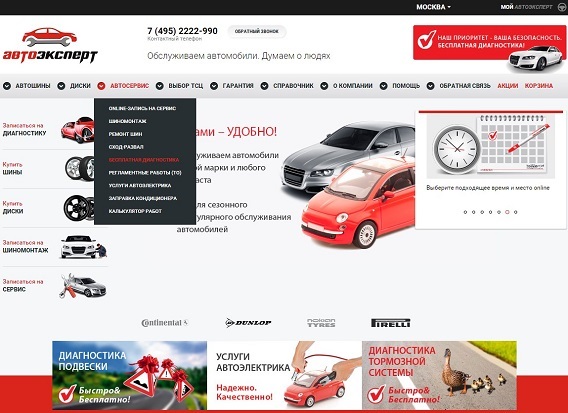 We helped Autoexpert to move to a new level by developing the high load online portal which enabled to make the communication between the customers and managers the most efficient. The Autoexpert group is an association of several successful projects in the tire business and car service with more than 20 years of history. 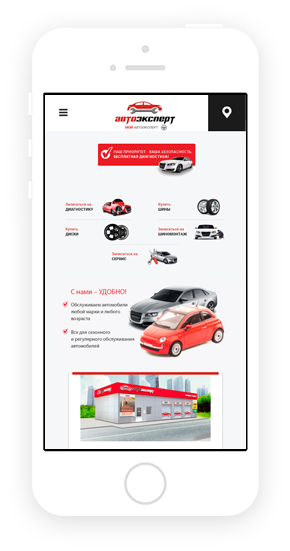 We did a great job for Autoexpert for the business automation by development and integration of the complex functionality of the online services enabling to sign up on-line for the diagnostics, service and tire mounting. New capabilities simplified the communication between the managers and customers as well as several times increased the amount of incoming inquiries. 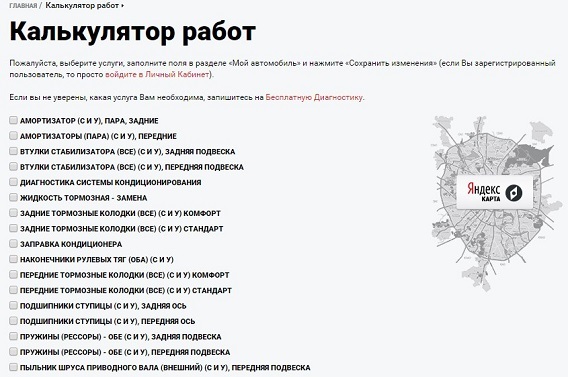 Convenient navigation saves the time to find the required sections without extra steps. This function enables to sign up online for the service; you just need to specify the car data, desired services and contact details. You can not only sign up online for the tire mounting but also calculate in advance the cost of all the works. 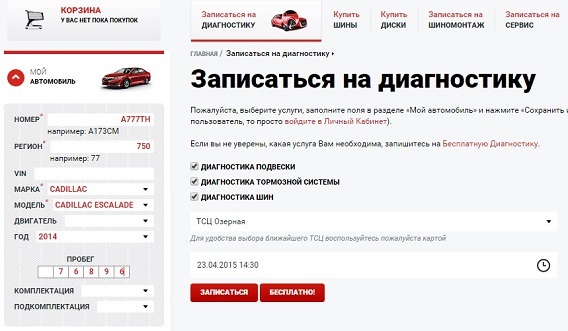 For sign up and cost calculation you need to specify the car data and your contact details. 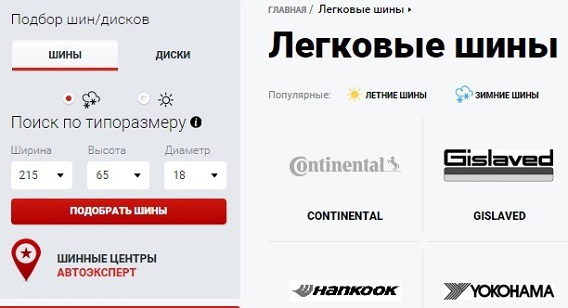 This function enables to sign up for the car diagnostics in a couple of clicks, choosing at that the most convenient trade and service center and time. 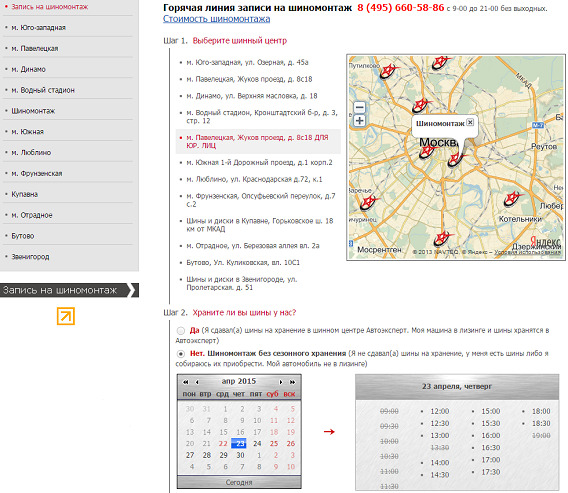 The site features the special form enabling to calculate in advance the cost of services for the specific car. 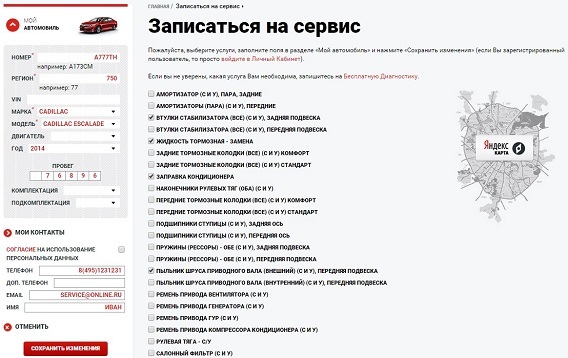 The website features the online-shop section where you can choose the tires and disks for any request. For this you just need to fill in a small search form. The unique purchase form enables to make an order and settle the delivery in just a few clicks.